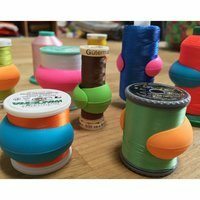 Bobbinis are the fun and practical way to store your bobbins. 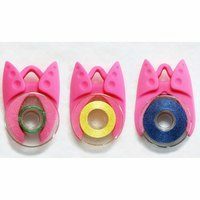 If you're tired of misplacing your bobbins and having to hunt them down, hunt no more! 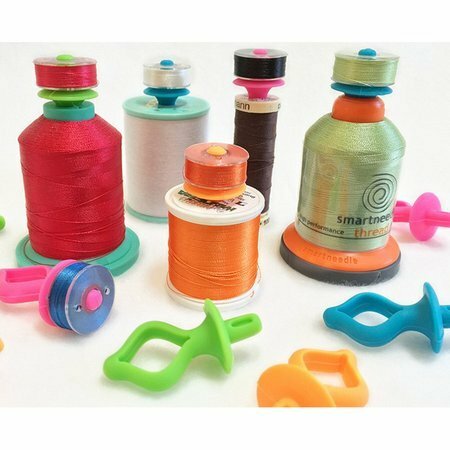 With Bobbinis you can store each bobbin with its corresponding thread spool. The Bobbini is uniquely crafted to fit all home embroidery and sewing thread spools. 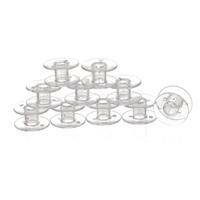 Available in a 12 pack of assorted colors the Bobbinis are compatible with type A (Class 15) and type L (Class 96) bobbins. To prevent unwinding of bobbin thread, wrap thread twice around the post before placing the bobbin on. An excellent companion to Peels!